CAPTURING WEDDINGS OF COUPLES WHO ARE TONS OF FUN. SHARING INFO TO MAKE RUNNING A BUSINESS + A FAMILY EASIER. LOVING ON PEOPLE ALONG THE WAY. We're married, best friends, and totally in love with each other and with photographing incredible people on days that are filled with fun. Each and every day we feel like we have the best job ever, and our hearts explode as we listen to passionate vows, and fist pump with couples who are stoked to be promising to forever! When we’re not shooting weddings, we can usually be found hanging with our littles, adventuring the world, or working on fun projects like the wood shop! YAY! If I’m guessing… you're newly engaged and SO excited. You two are best friends and love laughing, traveling, memory making, adventuring, brewery hanging, board game winning, daydreaming, and living life big. (HEY, me too!) You're planning a day to celebrate and be surrounded by the ones you love most, filled with beautiful details and so much love. Your wedding day is important to you, and you're giddy just thinking about it... but what makes your heart nearly explode is thinking about how you get to spend forever together! You're ready to enjoy the process of planning and can't wait to be officially MARRIED! I can't wait for you to get married either, this is going to be fun! To guide you through choices like wedding day timeline and engagement session details I’ve written helpful blogs and linked them in the photos below. Take a look around and get excited while you plan your special day! Wondering if we travel? We sure do! We’ve photographed wedding days in Mexico, Hawaii, and this year; Belize! And, WE LOVE IT! We’ve also photographed sweet couples all across our beautiful country; from Albuquerque to Minneapolis and beyond, and are always excited to explore! If you’re getting married somewhere other than our little southwestern state we call home (New Mexico), lets chat! Find details about our favorite places to visit, places to stay, food to grab, and more HERE! STREAMLINED. SIMPLE. SO MUCH FUN. Hey photographer friend! We see you. You’re building, working, practicing, learning, and giving it your all. You’re working so hard to make your dreams come true and do all the things. You have big goals and a long bucket list, and tons of passion. Let me tell you again - we see you! We’ve been there! Through the years we’ve found a few things that work well for us, make life easier, keep us organized - and in the meantime - make our couples OVER-THE-MOON-HAPPY. Want in on the tips, tricks, and little secrets? How about the templates, workbooks, checklists, and all the things that help us keep things streamlined, simple, and so much fun? I’m happy to tell ya, we’ve got ya covered - click the link below to find out more! How Can I Be a More Prepared Second-Shooter? How Do I Photograph Intimate Ceremonies and Elopements? What Details Should I Be Photographing on a Wedding Day? How Do I Photograph a First Look? Our most favorite of things ever. 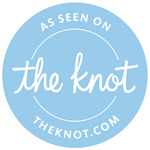 We call it our “Online Binder” and it makes the wedding experience with our couples smooth as butter. Things are organized, simplified, pretty, and oh so good. Oh I love this bag! It has saved our backs so many days… and it feels like a Mary Poppins bag for camera gear! We take it to every single wedding day, and it holds everything we need and more. This baby is legit! AND, it’s approved as a carry-on and so we basically airport rockstars now.